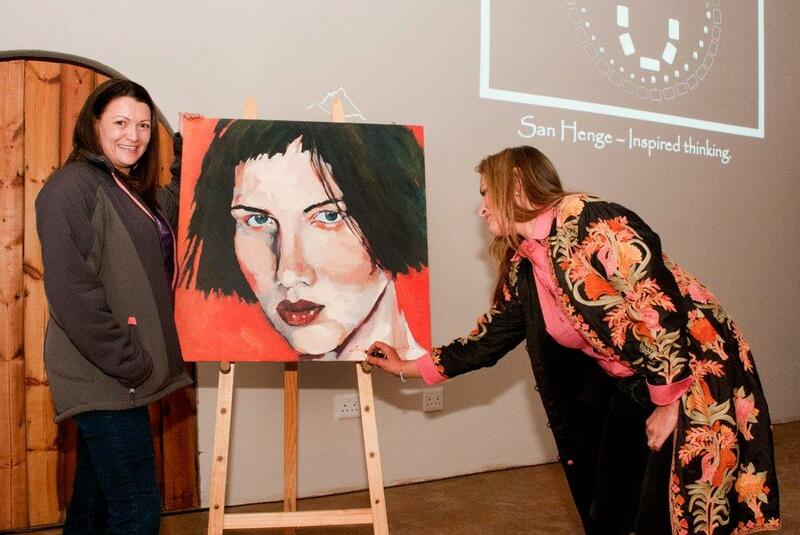 The San Henge Project was formally presented to the 120 guests at the annual winter gala night held on Saturday, 11 July 2015. The construction of the first 32 pillars of San Henge will start in Mid August. With each of the pillars being 4.5m x 2.2m x 1.8m this will be an impressive structure – especially if one considers that the construction has to be from recycled materials and covered in cob with fibreglass cladding and resin. In addition each pillar has to refect on the area heritage and state a vision for the future. In addition each pillar has thin film solar caps that provide powering to light up the facility at night – a truly spectacular site. Around the pillars will be 64 dancing figurines made of clay by the famous Durban beach artists. The funding of this is all by donation and the first R12 500 of this was raised from the De Haas Family that bought the painting donated by Desiré Crowther. If you want be part of this dynamic just come and join. It will be project of incredible creativity that flows from the basic belief that we need to leave things better than we found it. This entry was posted in Events, News, San Henge Project and tagged Art, Donations. Bookmark the permalink.